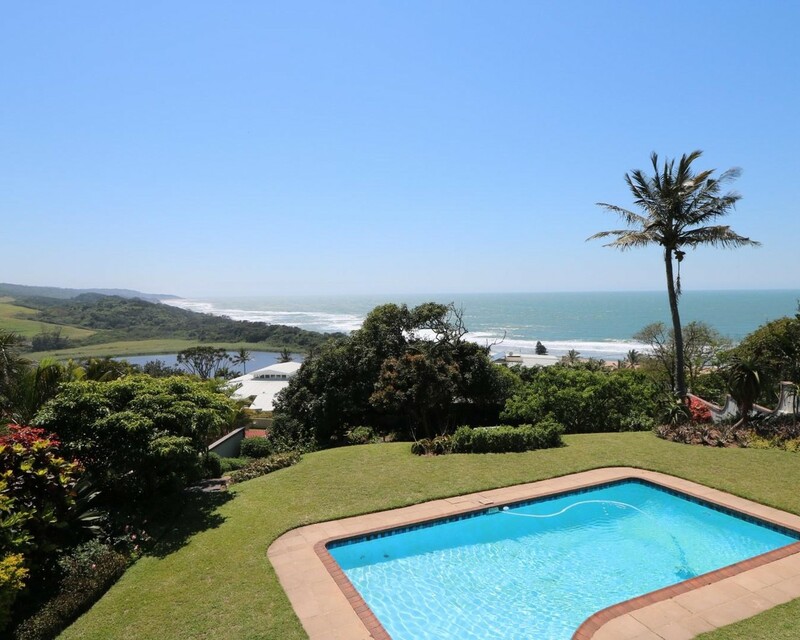 This spacious home, set within a tropical garden on an expansive level site, enjoys panoramic views over the unspoilt Zinkwazi beach and lagoon area. The well-built residence encompasses 4 bedrooms and three bathrooms, with three bedrooms situated on the lower level. The main en-suite and study are positioned upstairs and benefit from magnificent lagoon and sea views. Two of the downstairs bedroom also enjoy striking ocean vistas. Easy access to the property, ample guest parking, indoor bar area and a large pool an outdoor braai area are just a few of the unique aspects of this serene home.